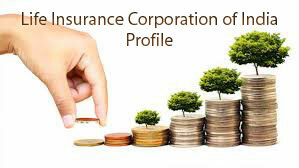 Life Insurance Corporation of India (LIC) is the largest Public Sector Insurance Company in India. LIC of India started on September 1st, 1956 with headquarters in Mumbai. LIC is under the Government of India undertaking with a huge presence in urban and rural markets. It is the famous Life Insurance Company which provides financial cover to the socially and economically backward classes of rural areas. The Chairman of Life Insurance Corporation is S.K. Roy and the official website is www.licindia.in. The LIC Policy Status, LIC Login, LIC Online Payment, LIC Premium Calculator, LIC Plans and other details with complete information is available on our site. The Plans that are available in Life Insurance Corporation are LIC Term Plan, LIC Endowment Plans, LIC Money Back Plans, LIC Pension Plans, LIC Child Plans, LIC Health Insurance Plans, etc. The Customer of Life Insurance Corporation can avail the Online Services by using the LIC Customer Login. If you are a New User, provide the necessary details like Policy Number, Premium Installment, Date of Birth for New User Registration. Pay the LIC Premium through Online by Net Banking or Credit or Debit Cards. The Details to be filled by the Customer for New Registration is available below. Refer the below link for more details and information regarding the LIC New User Registration. The Policyholder can check the LIC Policy Status through Online or use the SMS Service or by calling the Customer Care Number. The Life Assured can check the Life Insurance Corporation of India Policy Status by providing the follow details that are listed below. For more information, refer the link attached below. The Life Assured can pay the Premium through Online by using the Credit, Debit Card, Net Banking. The Policyholder has to follow the below steps for Online LIC Premium Payment in an easy way by visiting the LIC Website. Enter the Policy Number, Date of Birth, Installment Premium, and other details. Select the Payment Option (Net Banking/Credit Card/Debit Card). Submit the necessary details for Payment of Premium. Keep the receipt of the Premium Payment for future reference. The Policyholder can calculate the Premium Amount quickly by using the LIC Calculator. To Calculate the Premium Online use the LIC Premium Calculator. The Details required for calculating the Premium are available below. Life Insurance Corporation offers many Plans for the Customer. The Policyholder have to choose the policy which best suits during the lifetime. The List of Plans in LIC is available below. LIC Single Premium Endowment Plan. LIC Limited Premium Endowment Plan. Money Back Plans are the extensions of the Endowments Plans which provides life coverage and maturity benefit (fixed amount) in specific intervals throughout the policy duration. LIC New Money Back Plan – 20 years. LIC New Money Back Plan – 25 years. LIC New Children Money Back Plan. LIC Term Insurance Plan provides insurance coverage for a limited period on fixed rate of payments. Compared to the similar permanent policy, term Insurance is less expensive. If the Policyholder dies within the Policy Term, the death benefit is provided. LIC New Term Assurance Rider. Pension Plans provide a fixed income after retirement. The Life Assured receives the lump sum amount or monthly payout for specified number of years. Different Types of Pension Plans provides the needs of various investments. LIC Child Insurance Plan provides financial needs of the children for education, marriage, etc. Life Insurance Corporation of India Child Insurance Plans provides dual benefits such as Insurance and Savings for the Child. LIC Health Plan provides health cover for the entire family including Individual, Spouse, Children, Parents and Parents in Law. The Policy provides financial support to the family of Life Assured in the case of medical emergencies and certain health risks. If the Life Assured has any doubts or complaints regarding the Policy, they can contact the Customer Care of Life Insurance Corporation of India at any time to clarify the doubts. The Policyholder can send the SMS for Product Inquiry or Policy Enquiry or Register a Complaint as below. SMS LICHELP<policy no> to 9222492224 or 56767877. LIC Customer Care Number – 1251 (applicable for some cities).